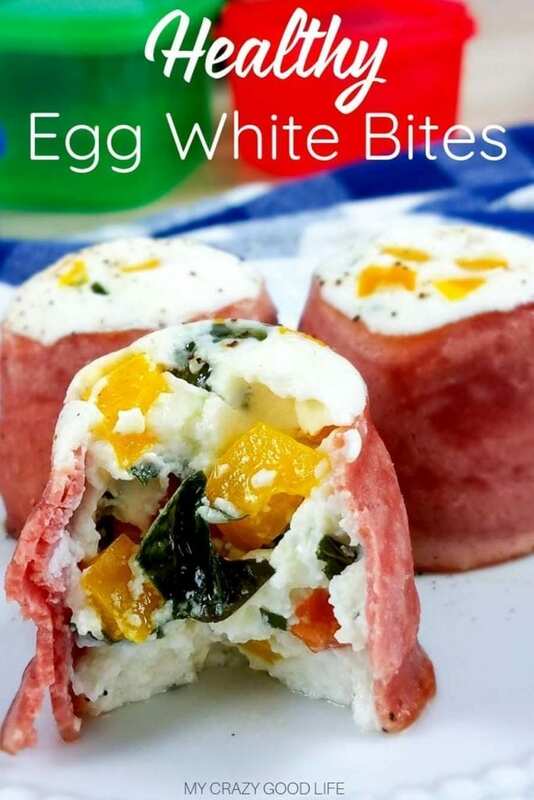 This healthy copycat Starbucks Egg White Bites Recipe is wrapped in bacon and so delicious as an on the go snack! 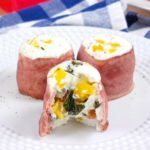 These Tomato Basil Egg White Bites are a great healthy breakfast recipe and can be made in the Instant Pot or in the oven. Have you tried the Sous Vide egg bites from Starbucks? They’re kind of a craze and they’re pretty delicious as far as breakfast on the go is considered..the downside is that they’re expensive and not all that healthy. 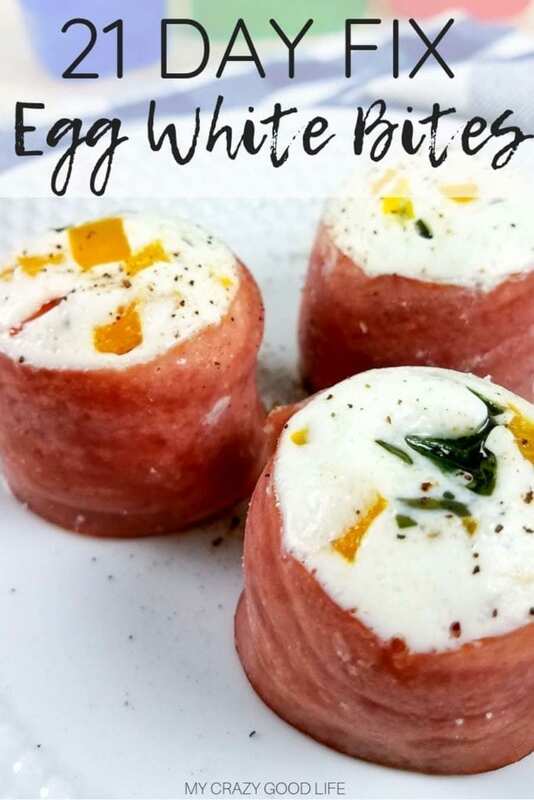 You might have seen my original post for Healthy Starbucks Egg Bites and now I finally have a great recipe for the Starbucks egg white bites to share with you. Are these like the Sous Vide Egg Bites from Starbucks? Yep! 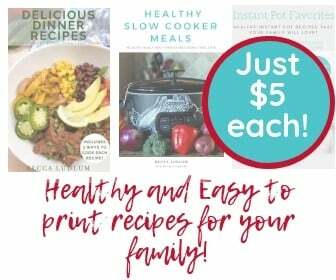 These are a copycat recipe that has been lightened up and made easier so you can cook them in the Instant Pot or in the oven. No need for any fancy Sous Vide equipment. These are not cooked via Sous Vide but they have the same texture and consistency as the Sous Vide egg bites from Starbucks so hopefully that will help give you an idea of what to expect in terms of flavors and textures! Are these healthy Starbucks egg white bites? Yes! The egg white bites from Starbucks are supposed to be their healthier option. These are even more so! I wanted to make these 2B Mindset, Weight Watchers Freestyle, and 21 Day Fix friendly so that everyone could enjoy them without worry about how to track them. With this recipe you’ll know exactly how these fit in for containers, points, and portions. Get your Egg Bite Molds right here! 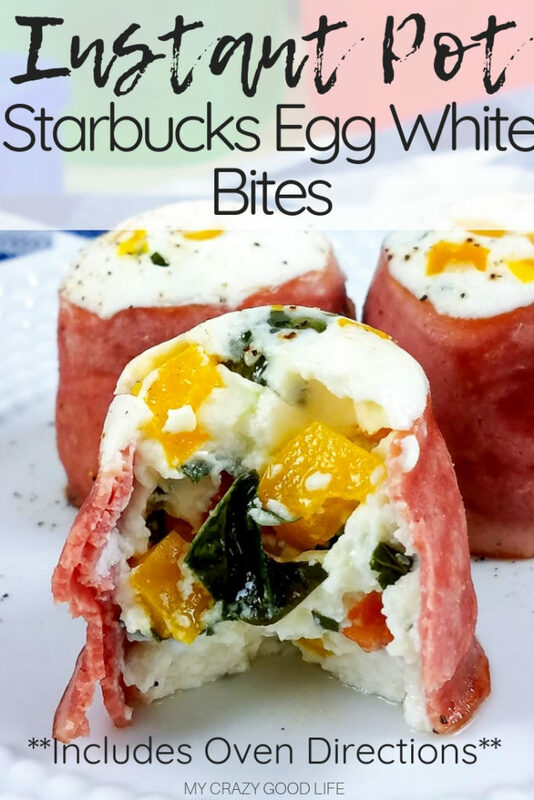 How can I make these Starbucks egg white bites in the Instant Pot? Grease the molds before you begin filling them!! 1) Wrap the turkey bacon around the inside of each cup of the egg bite molds. 2) Mix the spinach, tomatoes, and bell peppers together in a bowl. Then spoon the vegetables into each egg bite cup about 3/4 of the way full. 3) Next blend together the egg whites, Greek yogurt, cottage cheese, mozzarella, and basil for 30 seconds. 4) Pour the egg mixture into each cup until full. Cover the egg bite tray with foil. 5) Add 1 cup of water the bottom of the Instant Pot insert and place a trivet on the bottom. Lower the egg bite trays into the Instant Pot and stack them slightly off center of each other so that the cup are not on top of each other. 6) Close the lid and turn the pressure valve to sealing. 7) Cook on high pressure for 8 minutes using the steam function. Let the pressure release naturally. 8) Remove the egg bite trays from the Instant Pot, uncover and flip upside to cool on a baking sheet of cutting board. When the egg bites have cool lift the silicone tray to remove the egg bites from the mold. 9) Store in the refrigerator for up to 1 week or freeze for up to a month. To reheat just pop in the microwave for 30 seconds – 1 minute. 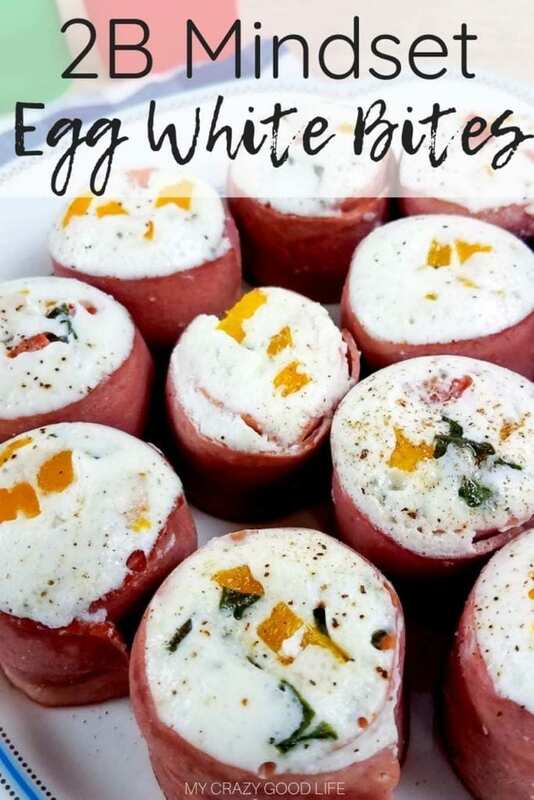 Is there a way to also make these egg white bites in the oven? 2) Wrap the turkey bacon around the inside of each cup of a cupcake pan. 3) Mix the spinach, tomatoes, and bell peppers together in a bowl. Then spoon the vegetables each cup of the cupcake pan, about 3/4 of the way full. 4) Next blend together the egg whites, Greek yogurt, cottage cheese, mozzarella, and basil for 30 seconds. 5) Pour the egg mixture into each cup until full. Cover the pan with foil. 6) Place a baking tray full of water on the bottom rack of the oven. Then place the egg bites in the oven on the top rack. 7) Cook the egg bites for 20 minutes then remove and let the egg bites cool for at least 5 minutes before removing from the pan. Be careful opening the oven, there will be lots of steam. Enjoy! 8) Store in the refrigerator for up to 1 week or freeze for up to a month. To reheat just pop in the microwave for 30 seconds – 1 minute. These are great with some whole wheat toast or an English muffin at breakfast time. They also make a great protein packed snack! Can I freeze these healthy Starbucks Egg White Bites? Absolutely. You can meal prep these ahead of time and just warm them up in the microwave for a quick breakfast on the go! Make sure to wrap them in parchment or something else to keep them separated or they’ll freeze into a clump. As I stated above, these can be frozen and for long term, that’s the best choice. Some people have said they’ll keep up to a week in the fridge but I’m not one to leave cooked eggs sitting in the fridge for more than a few days so I freeze mine! 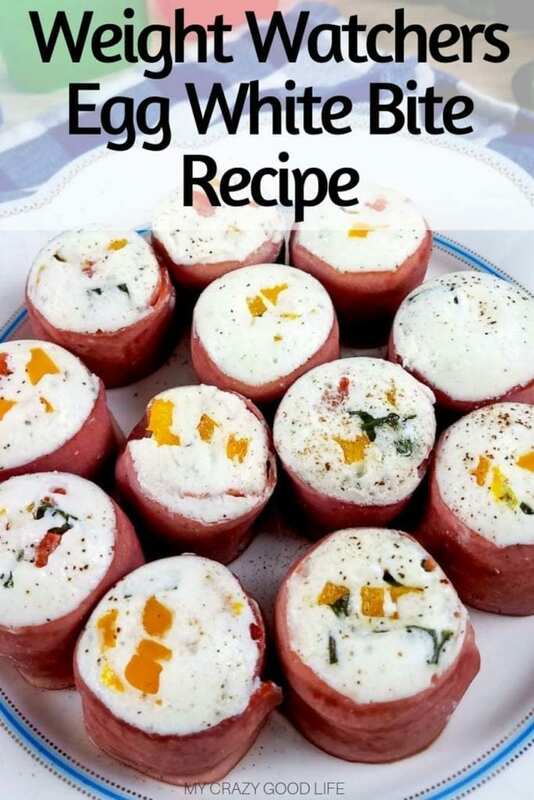 Wrap the turkey bacon around the inside of each cup of the egg bite molds. Mix the spinach, tomatoes, and bell peppers together in a bowl. Then spoon the vegetables into each egg bite cup about 3/4 of the way full. Next blend together the egg whites, Greek yogurt, cottage cheese, mozzarella, and basil for 30 seconds. Pour the egg mixture into each cup until full. Cover the egg bite tray with foil. Add 1 cup of water the bottom of the Instant Pot insert and place a trivet on the bottom. Lower the egg bite trays into the Instant Pot and stack them slightly off center of each other so that the cup are not on top of each other. Cook on high pressure for 8 minutes using the steam function. Let the pressure release naturally. Remove the egg bite trays from the Instant Pot, uncover and flip upside to cool on a baking sheet of cutting board. When the egg bites have cool lift the silicone tray to remove the egg bites from the mold. Store in the refrigerator for up to 1 week or freeze for up to a month. To reheat just pop in the microwave for 30 seconds - 1 minute. Wrap the turkey bacon around the inside of each cup of a cupcake pan. Mix the spinach, tomatoes, and bell peppers together in a bowl. Then spoon the vegetables each cup of the cupcake pan, about 3/4 of the way full. Pour the egg mixture into each cup until full. Cover the pan with foil. Instant Pot Yields: 14 egg bites (2 trays) Serving Size: 2 Number of servings: 7 Entire recipe: 7R 3B 2 1/2G Per serving: 1R, about 1/2B, 1/3G Oven Makes: 12 2 Per Serving Just over 1R, 1/2B, Just under 1/2G Weight Watchers Instant Pot Directions. 7 Servings of 2 Egg White Bites = 3 Freestyle Smart Points. See post for variations on ingredients necessary. 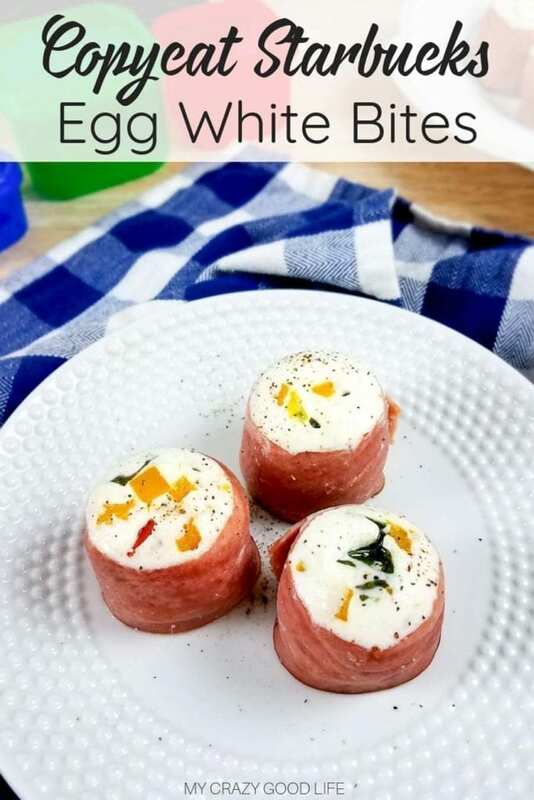 I’ve never had Starbucks egg white bites, but they sound delicious! I’m an egg aficionado and I’m always looking for creative recipes. Thanks so much for the IP and oven options! You can guarantee these will be a regular at our house from here on out! They are so good!